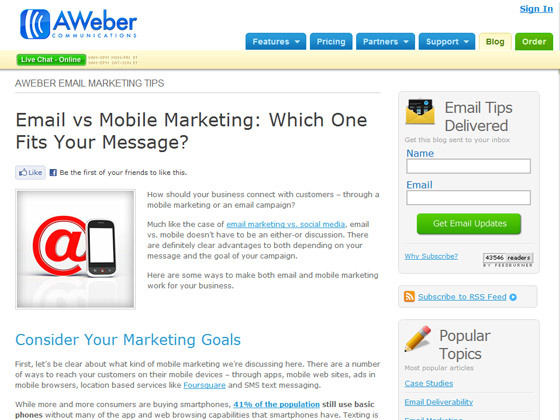 AWeber – Email vs Mobile Marketing: Which One Fits Your Message? 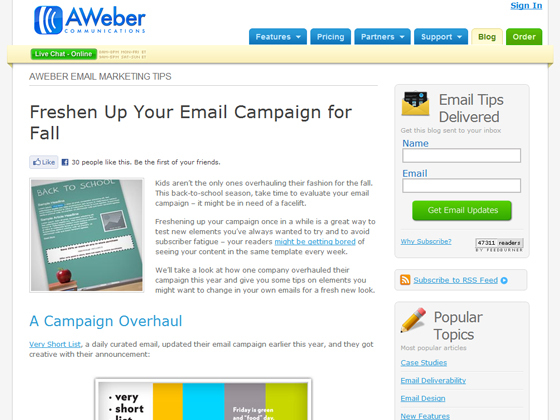 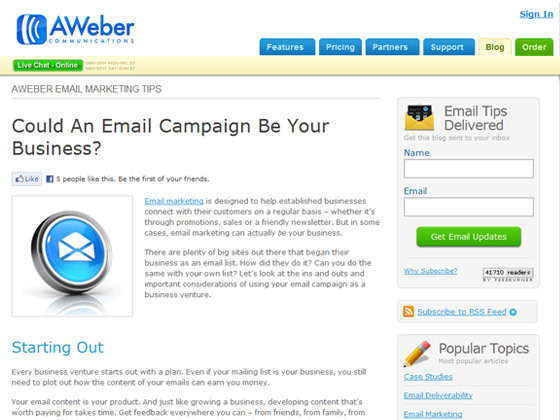 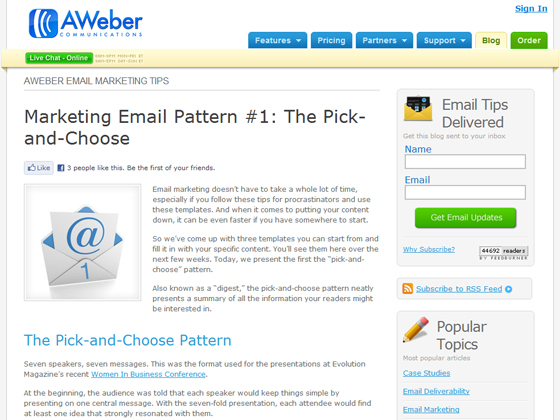 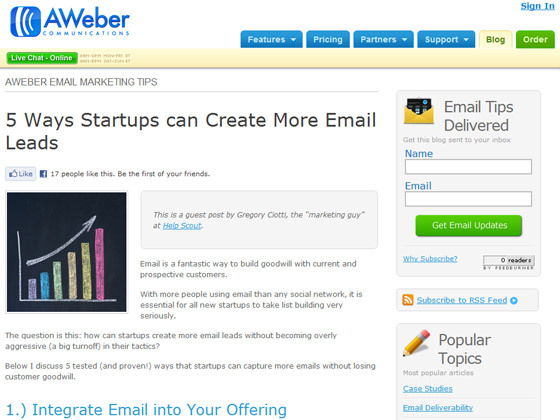 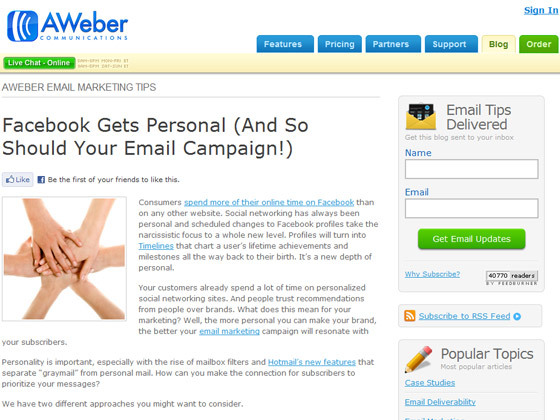 AWeber – Could An Email Campaign Be Your Business? 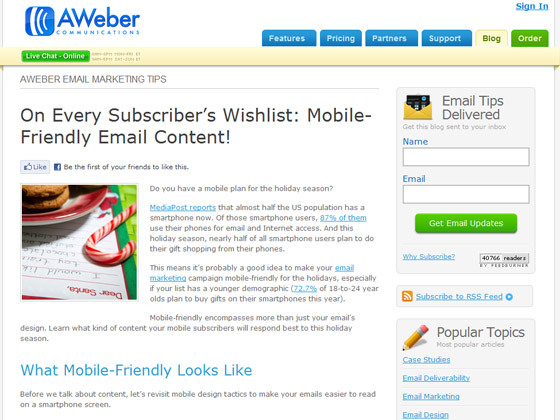 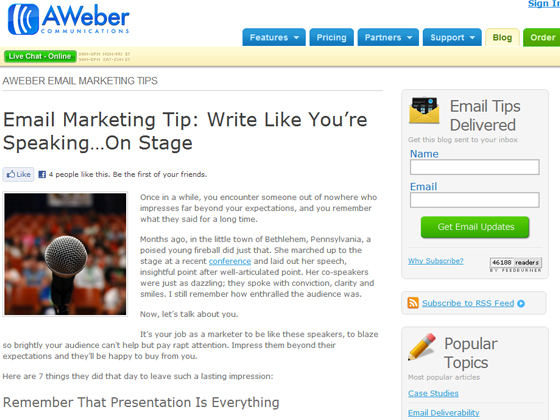 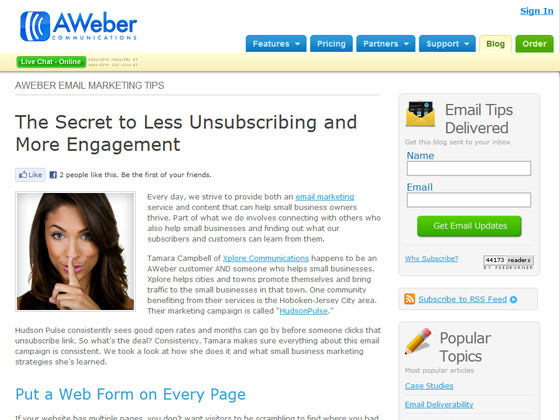 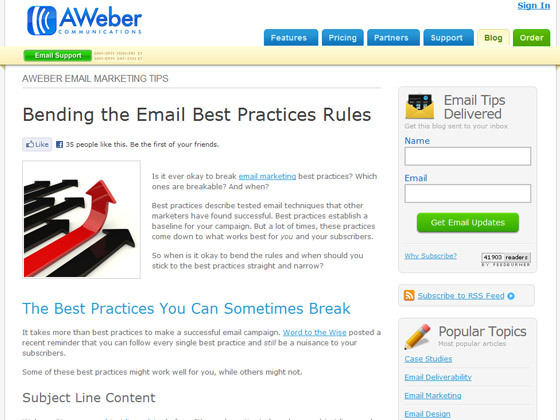 AWeber – On Every Subscriber’s Wishlist: Mobile-Friendly Email Content! 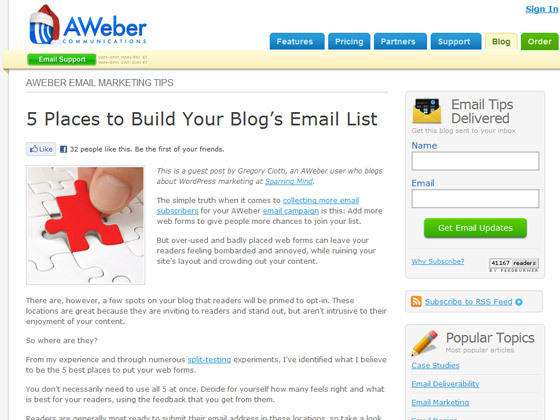 AWeber – Are You Using Images Effectively? 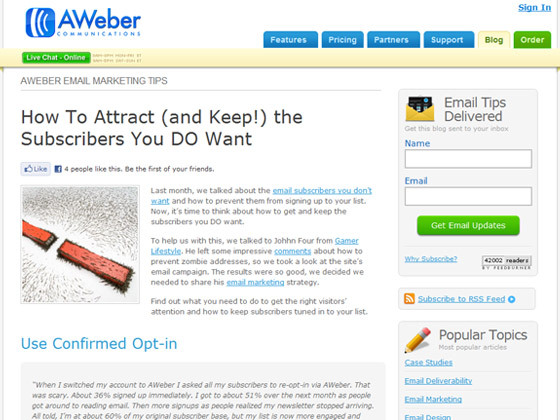 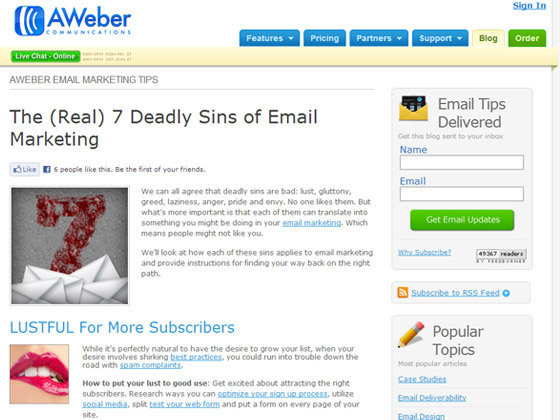 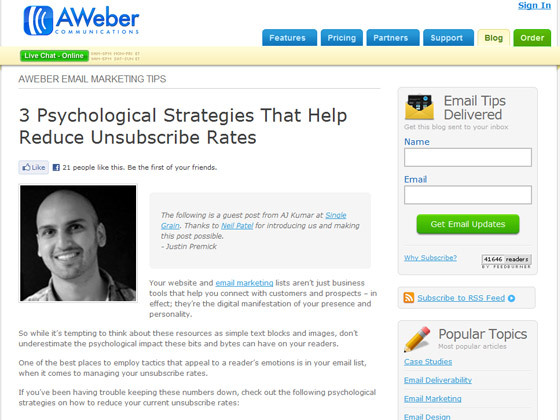 AWeber – Why Should You Split Test Email Subject Lines?